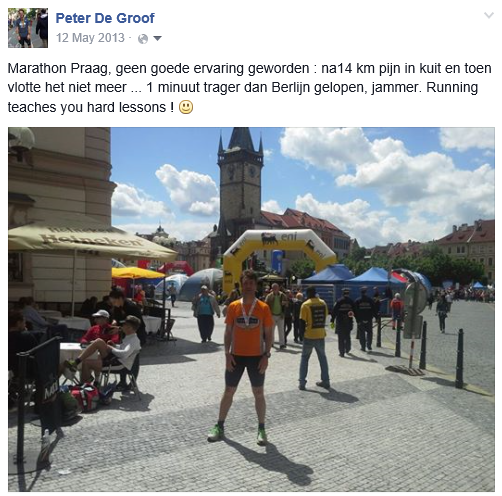 Previous blogs mentioned “10 marathons, 10 mistakes“. 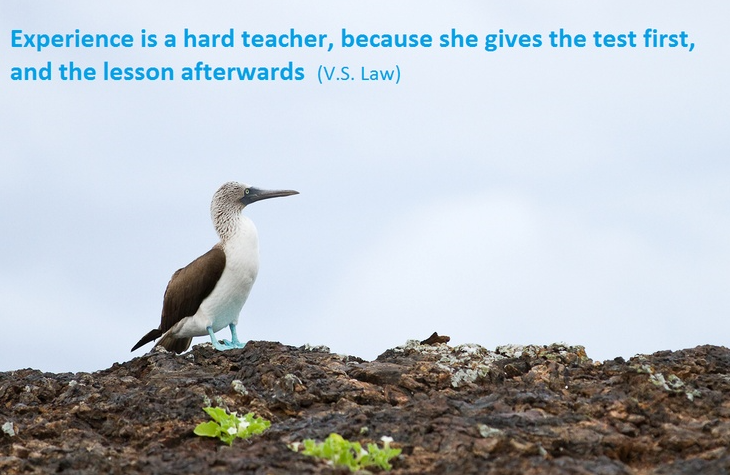 I have now changed “mistakes” into “lessons learned“. Making mistakes is OK, I guess, but the ambition is of course to learn from them. I finished in 03hrs 26min, a new a PB. That gave me a good feeling, and many likes on Facebook. 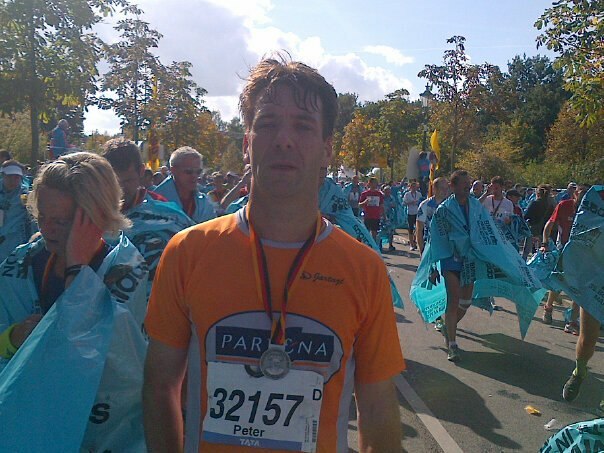 It was my 4th marathon, and each time, I improved my result, so I thought that was going to be a never-ending curve. After Berlin, I started to prepare for the marathon of Prague. Again, preparation went smoothly, but then came my mistake, or lesson learned: I started to have unrealistic expectations. That’s not good. It’s good to be ambitious, but when your target becomes unrealistic, disappointment is the only possible outcome. So on marathon day, I started too fast, at a pace that I could not hold on to until the finish. Strange. Rationally I knew this, of course, I knew that I could not hold on to that pace. Physically, I also knew this, I could feel it. Still, I was silly enough to do this. On top of that, mistake / lesson learned number 2: the day before this marathon, I had some kind of massage applied, which I thought was great & refreshing to my muscles. Not really: during marathon, at 14 kms, my leg started to hurt badly. So probably this massage had been a little bit too intensive ? I wasn’t used to getting this type of massage, so it was not very smart to experiment with this the evening before marathon day. Lesson learned (the hard way): in the 24 hrs before a marathon, never experiment with new things : new shoes, new kinds of food or drinks, or … massage ! How to build “resilience”, in times of madness ? Stress – get rid of it !